People suffering from chronic headaches and migraines can relate to being in agony, in a darkened room, with no sound. Their throbbing head feels as though it is splitting in half and you’re nauseous, maybe even vomiting. They just want the pain to go away… and never come back. At Dudum Chiropractic, we can help! If you routinely take medication, you aren’t experiencing a cure – you are simply masking the symptoms of your headache instead of experiencing long term, lasting relief. Dr. JD Dudum helps patients find relief from migraines by finding and treating the root cause of the problem instead of continuing to cover up the symptoms. Dr. JD Dudum has helped many patients suffering from headaches and migraines regain their active lives. While a medical doctor is likely to prescribe drugs, our approach is different and completely natural. Chiropractic care offers fast pain relief and lasting results without drugs or surgery. Right now, you can schedule your first visit with us for free. 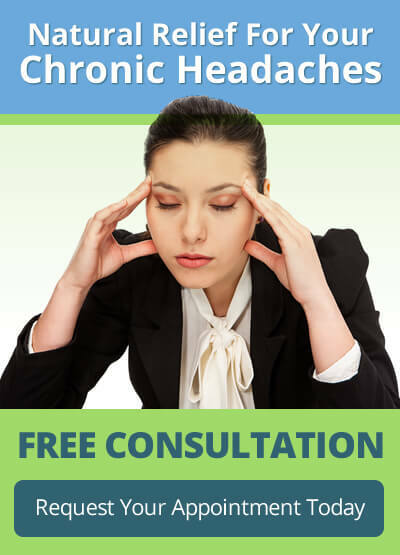 Contact us now to schedule a complimentary consultation with Dr. Jd Dudum and learn more about how chiropractic care can relieve your headaches and give you back your life. What are you waiting for? Use the form below to request your appointment now!